There is strong evidence to suggest that atmospheric recycling - the transpiration of water from trees into the air as precipitation - plays an important role in rainfall in rainforests as well as deserts. 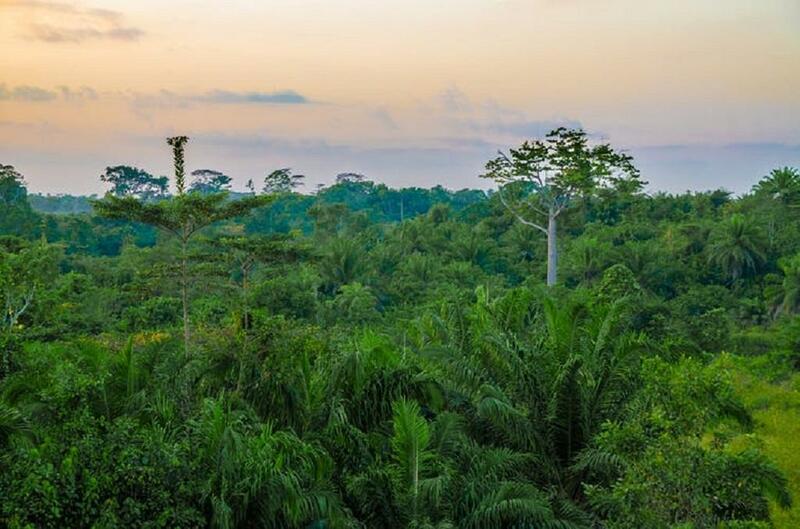 A huge percentage of rainfall – sometimes over 50% in west and central Africa and the Amazon – is recycled from forests. In parts of Western China an amazing 80-90% of rain occurs because of recycling. Some scholars are calling for forests to be protected for their role in generating rainfall and maintaining climatic stability.. These scholars challenge the dominance of water policies that have been devised based on the idea that forests limit water in rivers and streams. Rather, they argue that trees are necessary to generate rain downwind. Existing policies tend to prioritise catchments, such as rivers, rather than valuing forests for their cooling and rainmaking effects.